There's a special someone at the top of your dance card - who brings laughter and joy to your heart every day! 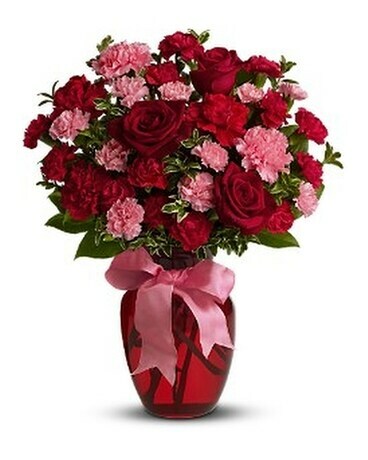 Show them how much you care with a sweet mix of carnations and roses in pretty shades of red and pink. 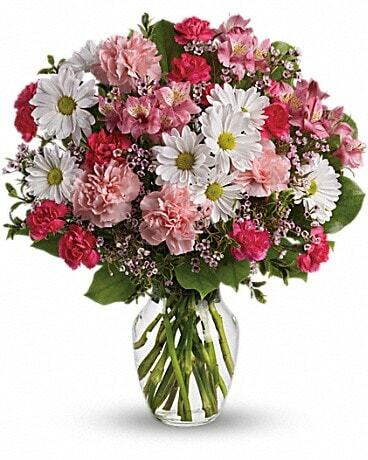 A mix of carnations and roses in shades of red and light pink is delivered in a glass vase accented with pink satin ribbon.